Pam Fudge comes from Poole, Dorset where she was born and grew up. ‘It’s a beautiful place and I have never wanted to live anywhere else,’ she says. Pam shares her home with a dog, a cat and the occasional guest. Three grown up children, seven grown up stepchildren and numerous grandchildren make up the rest of Pam’s immediate family. She also has two sisters. Pam worked part-time as a Recruitment Administrator at Bournemouth University for a number of years and was a part-time tutor for the Borough of Poole Adult Education Service teaching Writing For Pleasure And Profit for eleven years until March 2002. Many of Pam’s students found their way into print under her tuition. Pam, herself, began her writing career in similar AE classes to the ones she went on to teach. One of her tutors was the late Nancy Smith, who encouraged Pam to take over the tuition of the class when she moved away from the area herself. ‘Nancy said “Never say no to anything, just because you think you can’t do it”,’ Pam recalls. ‘I’ve found myself not only teaching, but judging writing competitions, giving talks, not to mention writing books, just because Nancy assured me I could. I have a lot to thank her for." Pam’s love of books came from the mother who ‘took us to the library as soon as we could walk,’ according to Pam. It was her elder sister, Barbara, who persuaded her to enrol for her first ‘Writing For Pleasure And Profit’ writing course. She had, however, been making up stories for her other sister, Pat, from a very early age and has been writing poetry for family, friends and colleagues for most of her life. That ‘something’ turned out to be a previously unsuspected talent for short fiction, and Pam’s first acceptance from ‘Hers’ magazine came only four months after she joined her first writing class. Several years and numerous published short stories later, Pam had her first book accepted for publication. It was a romance, the hero inspired by Pam’s late husband, Eddie, and the character was based loosely on him. The following year her second book was published. Inspiration eluded Pam for some time, as she fought to come to terms with the loss of Eddie, but she eventually found success again with short fiction. She has been published in World Wide Writers - with a story for which she won a joint 3rd prize - and also in The Lady Fiction Special, Woman, Take A Break, Best, Fiction Feast and Woman’s Weekly. And fill my life with song. And then you took my soul. Part of my life, and part of me. I feel deep in my heart. Hearing about the publisher, Transita, and their very specific requirement – ‘novels featuring women over 45, who are facing new challenges’ - was a turning point for Pam and her third novel, Widow On The World was published by Transita in April 2006. Widow On The World is a work of pure fiction, but Pam would have to say there have been certain similarities between her life and that of Denise, the main character in the book. Widow On The World is about one woman’s efforts to put her life back together after bereavement – hampered at times by well-meaning family (most of the time!) and friends. It’s a confirmation that life can begin again at any age – and still be full of surprises. News of Pam’s success with Widow On The World has been reported in the Bournemouth Echo, Writers News and The Community Magazine. A book signing session at Ottaker’s Bookshop in Poole resulted in a sell-out, Waterstone’s in Bournemouth reported that Widow On The World was ‘flying off the shelves,’ and it was a recommended read in Bella magazine issue dated 25th April 2006. Widow On The World has also recently been very favourably reviewed by the American ‘Bluestalking Reader and Pam was also interviewed by the same person. A more recent review from America on the Ex Libris blog dated May 26 2007 concludes, ‘Widow On The World is an enjoyable and thought provoking read. It is well written with witty, quick prose and several plot twists that keep things interesting. The author also provides compelling food for thought on various issues, which makes the reader stop and think. In my opinion, all of these factors add up to a good book,’ (both can be read in full on NEWS). In recent months Pam has judged the Short Story Competition for Bournemouth Writers’ Circle and acted as co-organiser for the Bournemouth Literary Festival ‘A World of Romantic Fiction’ Event which took place on 30th June 2007. She was also interviewed for the ‘Writer’s Room’ slot in Writers’ Forum. In October 2007 Pam's fourth novel, High Infidelity was published by Robert Hale Ltd and a book launch held at Waterstones in Poole, Dorset was hugely successful with every available copy sold on the night. Also in 2007 Pam judged the Short Story Competition for Bournemouth Writers’ Circle and acted as co-organiser for the Bournemouth Literary Festival ‘A World of Romantic Fiction’ Event which took place on 30th June 2007. She was also interviewed for the ‘Writer’s Room’ slot in Writers’ Forum and featured in What’s On Books and Dorset Writers’ Top Festival Reading in the Bournemouth Echo. Pam’s fifth novel, A Blessing In Disguise, was published in hardback by Hale in June 2008 and a feature in the Bournemouth Echo was headed, very aptly, ‘The dream has come true.’ Pam was also interviewed by Rob Richardson on Express FM for Write On a programme dedicated to writers and writing. This was followed by an interview on Radio Solent when she took part in the Bournemouth Literary Festival 2008. Pam’s sixth novel, Second Best, was published in hardback by Hale in July 2009 and the feature in the Bournemouth Echo this time was headed ‘Best In Shore,’ due to the book’s stunning cover – courtesy of David Young - depicting Poole Quay at sunset. There followed interviews on Express FM, Forest FM and Hope FM and a very successful book launch at Waterstone’s in Poole. Pam’s seventh novel, A Change For The Better,’ was published in hardback by Hale in June 2010 and the feature in the Bournemouth Echo by Ed Perkins was very aptly entitled ‘Writing The Changes.’. There followed interviews on Forest FM and The Bay FM and BBC Solent Radio and photographs of the very successful book launch at Waterstone’s in Poole made their way into the glossy pages of Dorset Society magazine. Pam’s eighth novel Never Be Lonely was published in hardback by Hale in July 2011 and the feature in the What’s On Books section of the Bournemouth Echo was very entitled ‘Unearthing Secrets’ which reflected the storyline of uncovering family secrets. There followed interviews on Forest FM and The Bay FM and a launch at Waterstone’s in Poole. 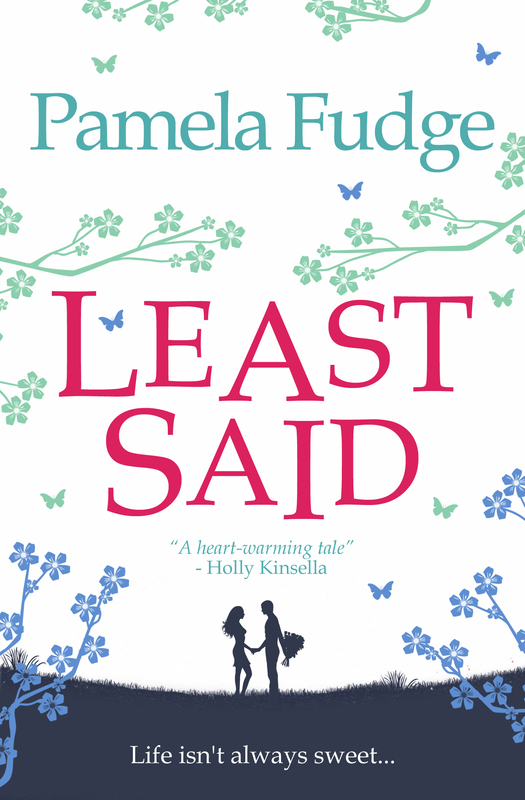 A review of Never Be Lonely by TheBookBag stated: ‘About this time last year I picked up another book by Pam Fudge with, I’ll admit, any great expectations and was surprised and delighted when I read it through in one sitting and thoroughly enjoyed it. Characters you could warm to and a story line which kept me turning the pages all played their part. It wasn’t great literature – in many ways it was better than that – it was just a damned good easy-read story that was perfect for a sunny summer afternoon.’ (The book referred to is Pamela’s previous novel A Change For The Better). TheBookBag reviewer gave Never Be Lonely four stars, as did The Bournemouth Echo reviewer. Pam’s 9th novel Turn Back Time was published in hardback by Hale in June 2012 and the feature in the Bournemouth Echo was headed ‘The Write Stuff’ and went on to say ‘Pam’s 9th novel focuses on the way relationships can change and not always for the better. Following the book launch at Waterstones in Poole Pam was thrilled to see, Turn Back Time at number one in the hardback chart for the store that week. Interviews with Forest FM and Solent Radio followed. Pam’s 10th novel Not What It Seems was published in hardback by Hale in July 2013 and the feature in the Bournemouth Echo magazine was headed ‘Believe In Yourself’ and went on to say ‘Pam’s latest novel, Not What It Seems tells the story of Evie and Owen who set up a practical arrangement to help with the day-to-day problems of childcare, but find it difficult to lead their own lives once their children fly the nest. The book launch was held at Waterstones in Poole and was well attended as her launches usually are. Interviews with Forest FM and Solent Radio followed. Pam’s 13th Novel A Temporary Arrangement was published as an e-book for Kindle in May 2015. Roz and Sam were just good friends but, for their own reasons, they made out they were more than that. It kept Great Aunt Ellen from fretting about Roz’ single state and the media from nosing into up-and-coming country and western singer Sam’s private life – and it worked like a dream until one of them wanted to end the pretence. That’s when the trouble started. Her other books A Blessing in Disguise, It's in the Cards and Widow on the World are also brilliant reads. Pam’s 14th novel Not My Affair was published in hardback and as an e-book in November 2015. Just as Fay Ryan is about to break the news to her husband Jack that, at last they are about to become parents, he gives her a Christmas gift that is obviously intended for the mistress Fay knew nothing about – a mistress who is also Jack’s boss – but with the affair over Jack moves back home to take care of Fay. Odd things start happening. Complaints about Fay at work, a stolen item placed in her bag in a shop, dead flowers left on the doorstep, but it is only when Iona starts confronting Fay in person that they realise the woman has started a frightening campaign of harassment against Fay in her determination to win Jack back. I just struggled to put the book down, partly because of my own experiences, but it is an absorbing and beautifully written story, even if you have not been involved in the type of events that weave through it - it is a wonderful story! How does an author find the inspiration to write a book like this, that must ring true for so many people, it is as if Pamela had experienced it for herself and was writing from the heart! I just do not have words to express about this fantastic book.